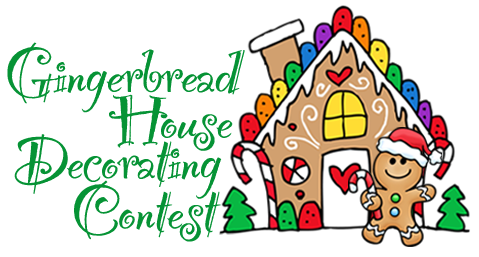 Join us as we kick off the holiday season with our annual Gingerbread House Decorating Contest! This old time family tradition is sponsored by the TCAAC in cooperation with Tipp Monroe Community Services.. Decorating teams may consist of up to four (4) people. Teams consisting of children must be accompanied by an adult. Icing will be provided but all teams must provide their own candy and edible decorations. No pre-made items are permitted. For example, you can not pre-make snowmen or other decorative elements that will be incorporated into your presentation. All elements must be made on-site. Registration fee is $20 for returning teams (those who have an existing plastic candy cottage kit) and $40 for new teams. $40 new team registration fee includes the cost of a Candy Cottage plastic gingerbread house which can be picked up at the Tipp Monroe Community Services office prior to the event. Register your team ONLINE using the links below. Click here to register an existing team ($20 registration fee). Click here to register a new team ($40 registration fee). Sponsored in partnership with the Tipp-Monroe Community Services.